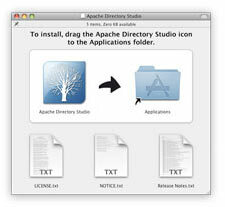 Click on the link above to download Apache Directory Studio for Mac OS X. 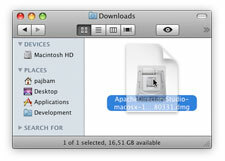 The download appeares in the Downloads folder in Finder. Double-click on the disk image to open it. Drag-and-drop the Apache Directory Studio application on the Applications folder to install it. Mac OS X version 10.10 (Yosemite) or later.